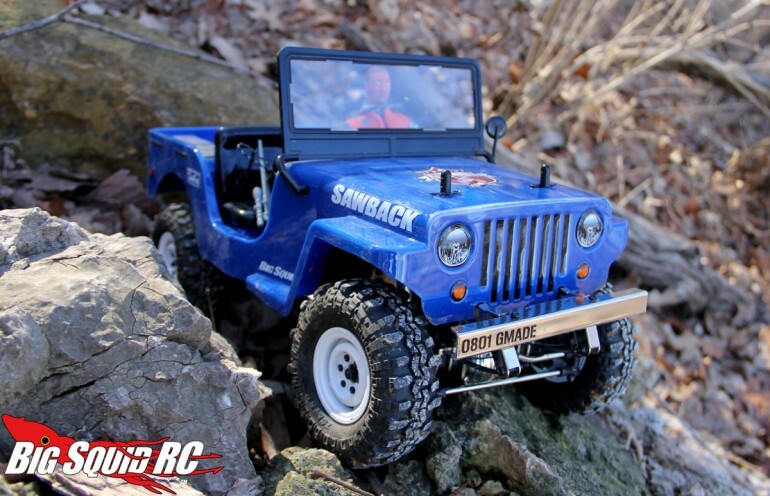 Everybody’s Scalin’ – Please Forgive Me « Big Squid RC – RC Car and Truck News, Reviews, Videos, and More! It’s always interesting to see when certain things I write get people all hot and bothered. Last week was one of those times that I unknowingly struck a nerve. When giving recommendations for a first scaler to an inquisitive noob I opined that a Sawback should not be on the list. Boy did I catch some hell for that! Comments, e-mails and a couple Facebook messages later I figure I should expound a bit more on what I actually meant by it. I really enjoyed the time I had with my Sawback. I had one pre-ordered and when they hit hobby shops in late 2013 I got one from the first batch. This was also the first leaf truck that I ever had. I wrote about my experiences with the vehicle in 2014 as they were generally positive. It’s a fun little truck that definitely looks the part. However, I also ran into a good amount of mechanical gremlins that slightly soured the experience over time. My pot metal diffs went kaput, I bent my leafs, driveshafts went bam, etc. It wound up being pretty maintenance hungry versus my then-fleet of SCX10’s which hardly needed any work. The Sawback was a lot of fun- I didn’t mean to imply I thought it was a bad vehicle! Heck, many of the issues I experienced may be attributed to the fact it was a first run kit (and a new platform, on top of that). This is a common thing. That said, I just don’t think it makes for as good a first vehicle as certain other ones on the market. Leaf trucks by their nature are maintenance hogs compared to their 4 linked brethren. Once the springs start bending the vehicle isn’t the same until they are replaced. Again, not a huge deal as they are fairly easy to work with and relatively inexpensive….but it’s not something that a beginner may want to mess with. Regardless, my apologies for not explaining myself better last week. It’s a good truck and many people would probably enjoy it as first rig. You Sawback people can lay down your arms! I surrender!